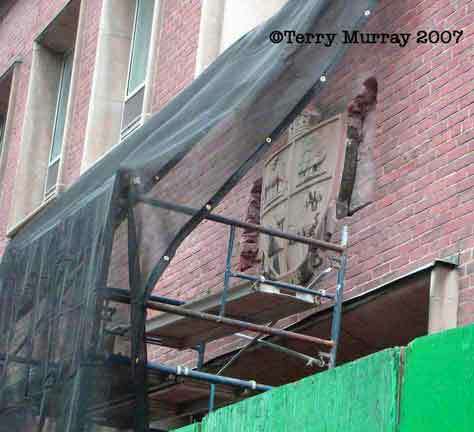 Faces on Places was released in June 2006, and a month later, one of the 65 buildings in the book was torn down. 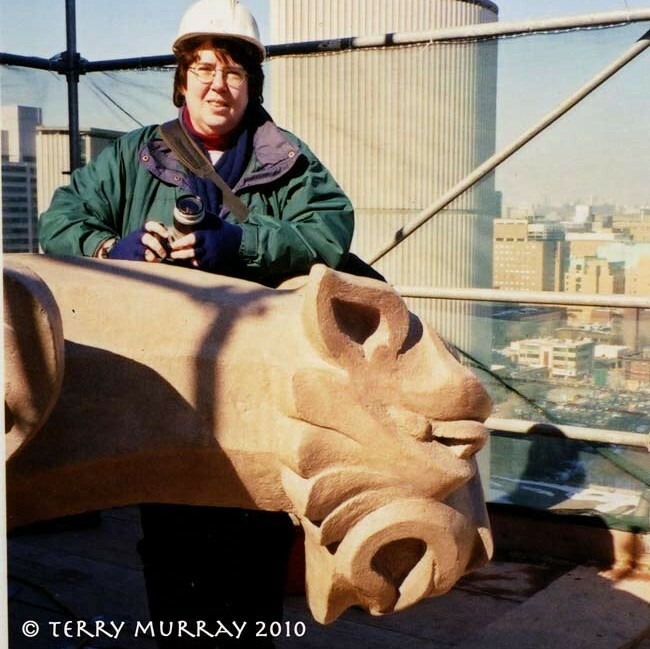 It was the 12-storey National Building on Bay Street which I included because of the griffins over the front door. The capitals were modelled by Merle Foster, whose biography I am writing, so I had hoped to return to photograph those details. In its place, the Bay-Adelaide Centre (with its highest tower at 50-odd storeys, the oddness depending on what you read) is going up, and will have a facade of the National Building pasted onto one corner of the new building’s gleaming glass. Take a look here to see how ridiculous this will look. Now I see that another building is coming down. The 60 Richmond Street East building is a fairly nondescript two-storey red brick building that started life in 1946 as the York County Registry Office. Since then, it has been a variety of municipal buildings, and most recently was a combination drop-in/shelter for men. It is going to become a 12-storey, 85-unit community housing building, with most of the units replacing Regent Park Housing. 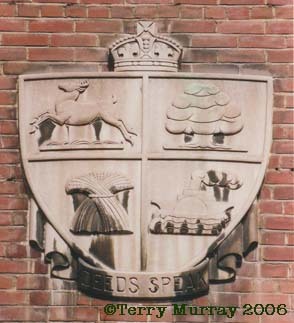 I don’t think the building itself is such a loss, but I was concerned about the sculptures—the County of York coat of arms with its “Deeds Speak” motto (above) on the Berti Street side and a woman standing atop the coat of arms on the Richmond side, both of which were sculpted by Jacobine Jones. The foreman on the site said they’re being salvaged for the city. I thought that might be the case when I saw bricks missing from around the coat of arms. 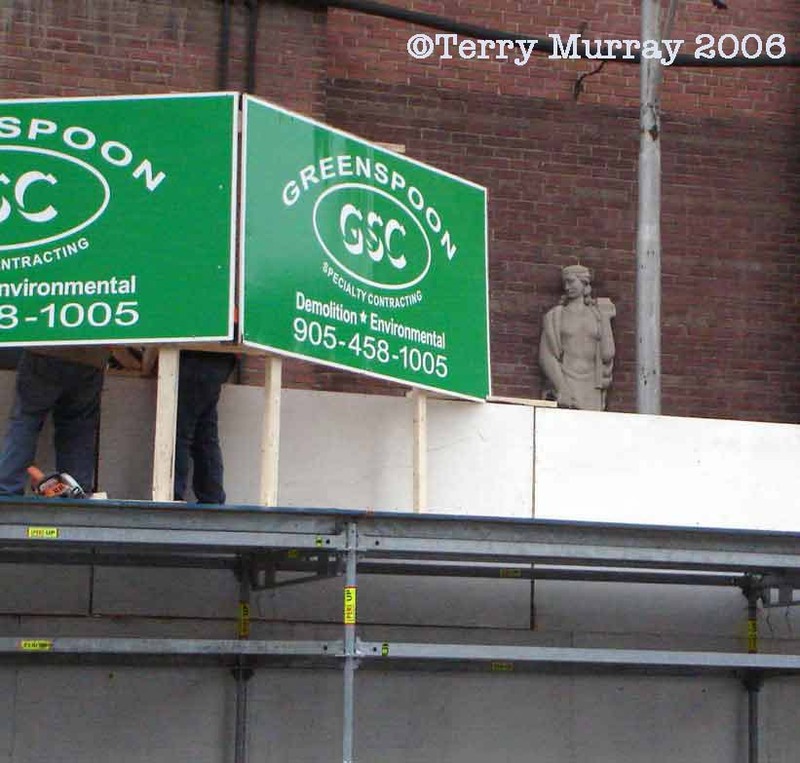 I’ve been trying to find out who in which City of Toronto department I need to contact to find out where the sculptures are going.